Sorry folks! We’ve been a way a while, busy working on our The Tiny Bots kids music video Shake It Like a Cupcake the past few months. Yep-that’s right! We’re also in a children’s music band. But now that that’s launched, I hope to bring you some more food news, and break into some healthy foods as well. Antonio is really focused on marketing for Garrison Brothers and his band Oh Antonio and His Imaginary Friends, so he’ll be on break for a while longer. Enough housekeeping. Let’s talk food! Some friends and I recently brought movie night back into our lives. Every few weeks we get together and someone different picks the movie and brings the food. This week is my week and, of course, I wanted to pick a foodie movie. Here’s the list of movies I considered. Ultimately I decided on Chocolat, but I’d love to hear from you on your favorite foodie movies for future consideration! 1) The Waitress This quirky movie is not the most uplifting but is real and pulls at your heartstrings. A waitress, played by Keri Russell, who is in a lousy marriage to an overbearing husband finds out she is pregnant. After she meets the local doctor and begins an affair with him, she finds the strength to carry out her pregnancy, but it’s not until after she gives birth that she realizes her strength is her own and has nothing to do with the men in her life. Food: You’ll enjoy the pies she makes throughout the movie with names like I Don’t Want Earl’s Baby pie and I Hate My Husband Pie. 2) Chef Who doesn’t love a second chance story? This movie is set when a chef at a respected restaurant quits his job. He begins to flounder, not just in his profession, but also in his relationships. When he decides to quit it all and restore a food truck and go across country selling Cuban sandwiches, he may just find the adventure of a lifetime and the answers he’s been looking for for success. Food: You’ll love a look into what it’s really like converting a trailer into a food truck and seeing knife skills and cooking up close. 3) The Hundred-Foot Journey An Indian family in France sets out to find a place to start an Indian restaurant. When they break down in a small town, how are they to know one of the country’s best restaurant is just across the street? But is competition always bad? It seems to be when the competition has loud music, colorful decorations and a string smell just steps from your classy, expensive well-known traditional restaurant in France. Food: You’ll love the search for perfect mushrooms, the perfect omelette and the difference between French and Indian kitchens (and settings). 4) Babette’s Feast Imagine you’re a well known chef who ends up in a super pious town that hires you to cook the blandest food for them year after year. And then you decide to gift them with the one thing they do not want using all of your money, so that you’ll be stuck there. That’s basically the plot and it’s amazing. Food: The preparation for this feast will blow your mind! 5) Chocolat Apparently, there are a lot of food haters. I’m starting to see a trend here. Vianne and her daughter arrive in a small French religious town and opens a chocolate shop. The churchgoers try to resist, but one by one Vianne entices the villagers into her shop to chat and try a chocolate. Things come to a head when the gypsies move onto the river nearby–will the church allow things to continue down this road? Food: At the end, a lovely dinner for the elderly diabetic woman brings friend and foe together for a wonderful dinner party of the most delectable foods. This past weekend, I got a chance to hang out with my friend Grace for dinner and a movie. Grace has a projector in her living room and we’ve been talking about having a Shirley Temple movie night for a while. However, she had the BBC version of “Emma,” so being a proper Jane Austen fan, I jumped at the chance to check it out. I had heard it was better than the movie that came out several years ago and was curious if this were true (I didn’t like the movie, so I figured I was hopeful). I’m afraid I can’t give a final review on the BBC version yet, since we’re not through watching it—it’s a whopping 230 minutes long—since I started snoring at some point in the night, most likely induced by the yummy plum wine I had with dinner. But, I can say I’ve enjoyed every minute we’ve watched so far! Grace was having a salmon craving, and since that is by far my favorite fish, I was pro that idea. She wanted a fish salad, so we took a tour of the Asian market off Braker Lane, which seems to have the freshest fish selection of any of the super markets around. They slice the fish off while you wait. We also picked up some limes, spinach, pineapple and plum wine. When we got back to her house, we split up duties. She got to pick basil out of the garden and cook the fish, while I was in charge of cooking the pineapple and making a salad dressing out of the limes, orange, basil, honey and olive oil. It was a fairly quick dinner and turned out splendid! Not only did it taste really good, but it was a colorful salad that surely had lots of vitamins and minerals, too! 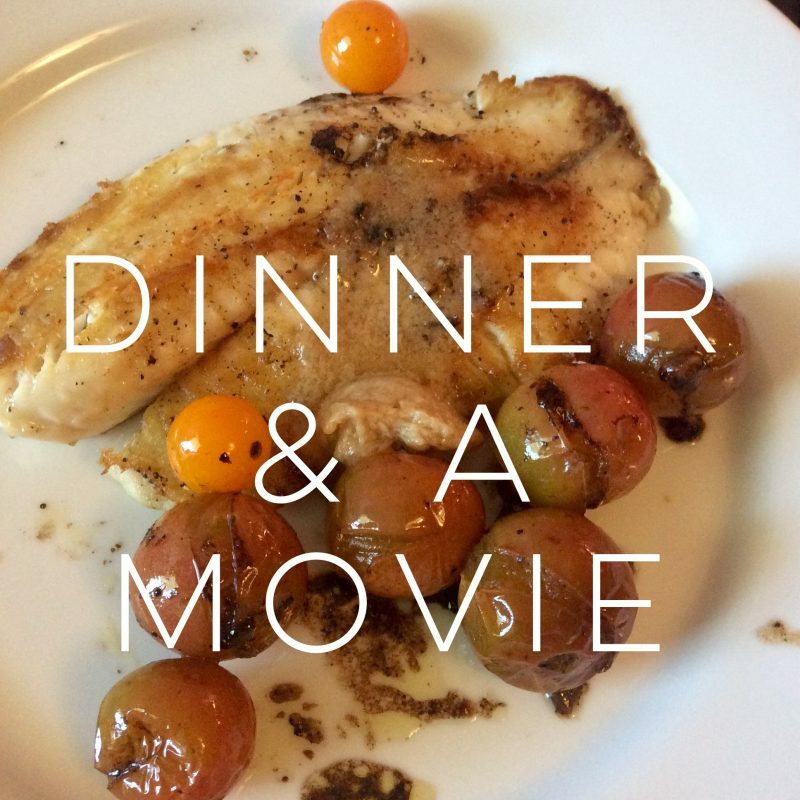 When’s the last time you enjoyed dinner and a movie? Meet Brittanie Duncan, AFBA social chair and food blogger for www.threedietsonedinner.com. 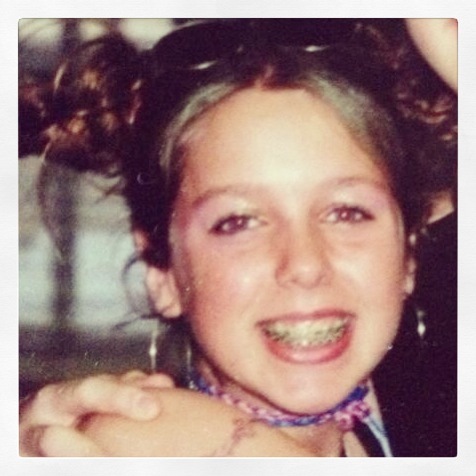 We asked Brittanie to tell us a bit about her childhood food memories. 1. What were the most common meals you ate as a child? Chicken piccata, canned peas and strawberry shortcake. Boursin cheese with homemade pita chips. I’d eat the entire ensemble in one sitting. Dinner would always be ready at 3:30 p.m. when we got home from school. My mom cooked in the morning. We would just reheat it when we were ready to eat. My family would always sit down at the dinner table together for an early dinner. My mom would never eat, although she would sit with us; I guess she just grazed all day. I would only eat the creme filling out of Oreos. My best friend filled a jar with just the creme once and gave it to me for my 10th birthday. To this day, it is the most thoughtful gift I’ve ever received. I stopped eating processed food about three years ago. So yes, everything has changed. I still crave canned peas, though.